Managing sleep apnea while on the go has never been easier. Designed to make any type of travel easier, lighter, and so much simpler, the Z1 Travel and ResMed’s AirMini are both small, weigh less than a pound, and fit in the palm of your hand. Whether you’re camping, traveling for work or vacation, or just wish to be discreet about your CPAP, it’s just a matter of deciding which travel CPAP works best for you. 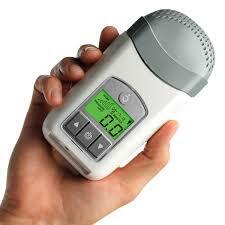 The Z1 is the world’s smallest and lightest CPAP machine. Lightweight, compact and extremely quiet, the Z1 CPAP even delivers sleep therapy off the grid, thanks to its optional PowerShell™ battery pack, which powers a full 8 hours of cord-free therapy. The world’s smallest and smartest Auto CPAP machine features Active Air technology, which creates a quiet, comfortable device. The AirMini fits ONLY with ResMed F20, ResMed N20 and ResMed P10 mask. I’m interested. 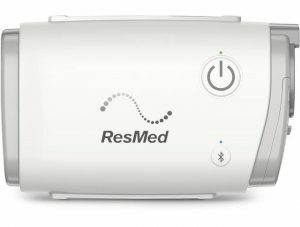 How do I purchase a CPAP travel machine? CPAP travel machines require a prescription. Z1 Travel Machine battery pack is a special order item. Both may be covered by FSA/HSA.